For anyone who’s looking to create a flawless, durable look, you need one product: the setting powder. It may seem simple enough, and for many, they have the view that the setting powder doesn’t really make a difference or isn’t worth spending money on. However, if you select one of the best setting powders, you’ll soon see that that’s simply not the case. Keep on reading, and you’ll find them all! Now that you’ve had the chance to take a good look at each of the best setting powders, you’re probably interested in learning more. Scroll down a bit further, where you’ll find in-depth, unbiased reviews of each one! 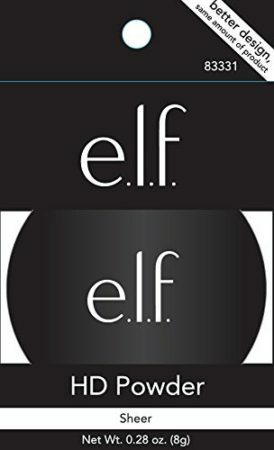 You’ve probably heard of e.l.f. before. The company is known for producing consistently reliable, high-quality products that are so affordable, it’s almost unbelievable. This has made them a driving force in the industry, and no matter what product you’re looking for, we always suggest giving e.l.f. a try. With that being said, definitely do yourself a favor, and check out their High Definition Flawless Setting Powder. The setting powder from Target works to hide imperfections, such as fine lines, wrinkles, blemishes, and bumps. 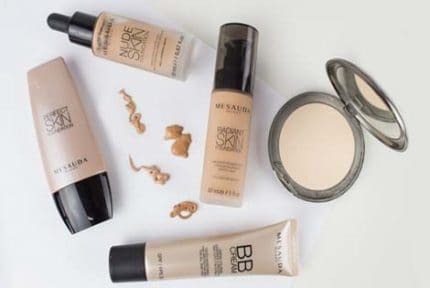 If you’re feeling like your skin is looking a bit dull, it also works to help brighten up the complexion, giving a very smooth, even look to finish off your foundation and concealer. The High Definition Powder is very soft and completely translucent, which makes it perfect for daily wear, either on its own or with foundation. You can also use it to set in highlighter and/or contouring. All products are vegan and 100% cruelty-free, as well, so if you’re vegan or just care about the moral aspect of your beauty products, then this is a wonderful option. Not to be biased, but it seems that with just about every e.l.f. product, we become more impressed. 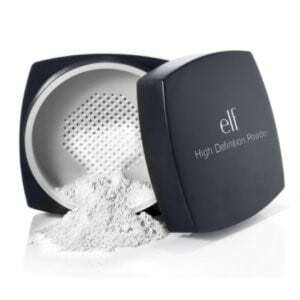 Their High Definition Setting Powder is very soft, leaves a wonderful finish, and is extremely affordable. Not only that, but we love the fact that it’s completely vegan and cruelty-free. The setting powder is perfect for every skin type, however, we did feel that it did need to be touched up a bit after around four hours with oily skin. In general, however, it did increase the wear time of our makeup to around 9 hours, which we feel is pretty impressive considering how affordable it is! It’s very easy. It doesn’t go on clumpy at all. We’ve all had an experience with a powder where it’s supposed to make our skin look smoother, when instead, it makes it look all clumpy, streaky, and generally “bad”. We love how it sets our makeup, and especially how it works as a “baking” powder. Yes! We weren’t huge fans of the fact that it wasn’t very finely-milled. Generally speaking, this is a “fine-milled” powder, but in comparison to many others, it could be much finer. The real difference in this is how quickly it is absorbed into the skin. The RCMA No Color Powder isn’t necessarily the most well-known translucent setting powder in the world, but it’s undoubtedly one of the cult favorites of the YouTube beauty world. 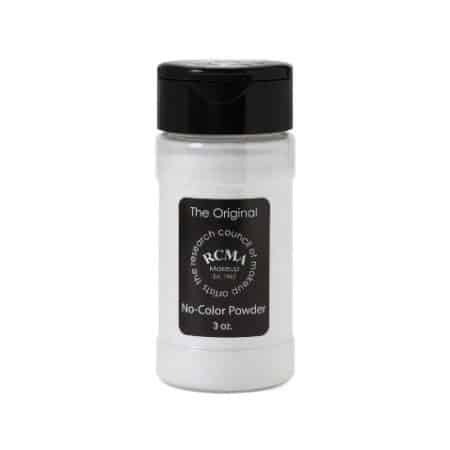 All RCMA Loose Powders are somewhat of a staple in the industry, however, their No Color Powder is perhaps their most well-known. They work to keep foundations set in stone, and keep everything dry and matte without a “cakey” look/feeling. As it has no filler or pigment to the powder, it’s perfect for any shade, and will not change the color of foundation bases in any way. So many times, “translucent” powders will actually alter the shade of your foundation, or make it oxidize and look orange-y. No one wants that! We have to admit, we had pretty high expectations for this translucent setting powder. We’d heard so much about it from so many beauty experts that had raved about how amazing it was. After using it a few times, we can confirm that it is, indeed, impressive. First of all, let’s mention the fact that it’s one of the most affordable setting powders currently on the market today. Despite this, it’s one of the best we’ve used. The powder itself is very lightweight and finely-milled. So fine, in fact, that if you breathe too hard, you may get a white cloud in front of your face before you realize what has happened! 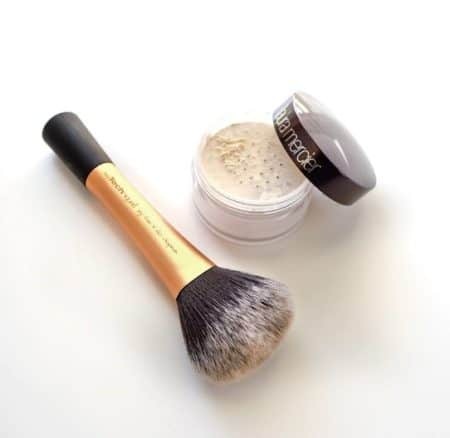 Simply put a bit on a powder puff or a makeup brush, and tap/blow the excess off. All you need is a tiny bit to cover the entire face and neck. It works to keep makeup looking fresh and flawless for hours. We didn’t even have to touch up our makeup the entire day, and didn’t experience any kind of creasing, caking, shininess, or ashiness. We loved how soft and smooth the powder went on the skin. It easily glides over the skin without any caking or clumping. It blurs any imperfections, such as fine lines, enlarged pores, and general imperfections, due to the inclusion of ultra-fine talc and silica. Use it to bake concealer, mattify foundation or lip colors, contour products, and more! Now, let’s get to what we didn’t like. Really, the only thing for us, is the packaging issue. It can be really messy if you’re not careful with where you’re breathing, or if you accidentally have a breeze blowing towards the product. You have to make sure the lid is on each time you’re not using it, as it will get all over if you don’t! Out of all of the setting powders on the market today, probably the most talked-about, or the most popular, is the Laura Mercier Translucent, Setting Powder. There are many reasons why, but we still had to try it out for ourselves. The powder is made using the finest-milled French “Cashmere” Talc, which creates an impressively lightweight, silky-soft powder that is actually pleasant to apply. It goes on super smooth to the point that it practically glides over the skin. The translucent setting powder gives a very natural finish, which aims to smooth; never cake or look like you’re wearing a powder. Use it to extend the wear time of your makeup, and/or “bake” your undereye makeup or contouring. The Laura Mercier Translucent Powder truly impressed us, in more ways than one. We were trying to find the perfect one for travel, and while no product is truly “perfect”, this one comes pretty close! It comes in two sizes, and the travel size is great for just tossing in your handbag and taking it on the plane or metro without worrying about it taking up a lot of room. In addition, since you only need a small amount of powder to cover your entire face and neck, getting the travel size is also a good idea, as the packages last for such a long time. The mini setting powder works to hold makeup in its place for long-lasting, all-day wear without having to keep touching up the powder throughout your day. Not only that, but it feels very lightweight – almost like you’re not even wearing any setting powder. How does the finish look? Very natural and beautiful. It works to give you a modern, matte finish with just a hint of sheer coverage. If you have naturally oily skin, don’t worry! It even absorbs oil and manages shine all day long. What sets it apart from the others? Probably the most defining characteristic of the Laura Mercier translucent powder is its density. It’s noticeably denser than your typical setting powder, which gives that ultra-luxurious, smooth look that creates a flawless finish. It’s not going to settle in and call attention to imperfections, but rather mask them. Fine lines, blemishes, and more will be blurred and smoothed out. Use it on any skin tone and skin type. It’s non-comedogenic, non-caking, and even dermatologist tested, so even if you have sensitive skin, you can rest easy knowing you’re in the clear! Honestly, the only “downside” would be the price. While it’s not necessarily “expensive”, it’s definitely a higher price point than some of the budget products we’ve already mentioned. 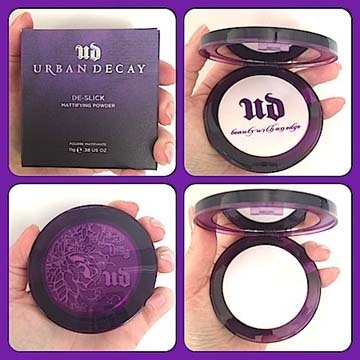 Urban Decay is another company which is world-famous among beauty experts and us mere mortals, alike. It seems as if they can do no wrong, with each of their products surpassing the previous ones. Their De-Slick Mattifying Powder is no exception. The translucent mattifying powder is excellent for oily skin, but works well for all skin types. It works to stop shininess from occurring in the first place, and keeps shine under control all day long. It’s unique in that it’s not 100% tint-free. 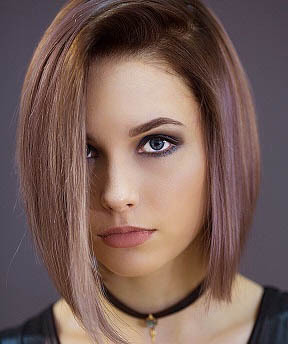 It’s actually a lavender shade, which works well with every skin tone. It helps even out skin tone, and keep it from looking too white or yellow-y. It works just as well on bare skin as it does over a full face of makeup. Try it out for days at work, or out in a nightclub; no more worrying about shininess coming through or makeup sliding off! It’s one of the best-feeling setting powders out there, as well. It’s ultra-lightweight, and made of oil-absorbing rice powder. Despite this, it’s still very light and you won’t even feel like you’re wearing it. From the first moment we laid eyes on this powder, we fell in love with it! If you have oily skin and are looking for a new setting powder, please don’t let this one pass you by! First off, we noticed that the compact was very fashionable and attractive. 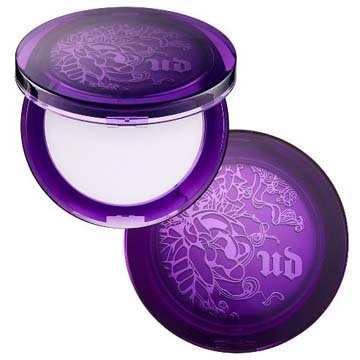 It comes in a transparent purple compact which kind of glows in a way, and features the classic Urban Decay embellishments like skulls and flowers. Once opened, it features a little mirror, along with a puff applicator. Application is probably the easiest of all of the setting powders we’ve tried, as well as the least messy! 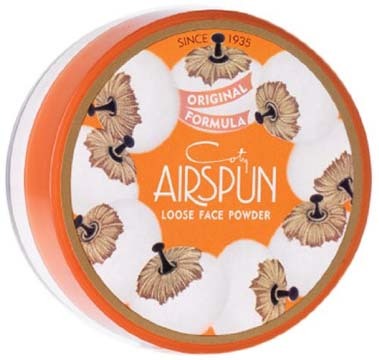 The powder is very lightweight, and doesn’t clog pores or feel cakey like so many others do. Despite being so light, it’s great for controlling oil and keeping shine at bay. No matter what type of skin you have, we have a feeling you’ll love this one. It’s also great for travel. Not necessarily due to the size, but due to the fact that you don’t have to worry about loose powder accidentally getting everywhere inside your bag or all over the countertop! You’ll notice right away that your skin will look and feel softer and smoother just with the lightest, thinnest application. You don’t need to apply a thick layer to see great results; in fact, we experienced better results with less product. Something else that we loved? The fact that it’s free of parabens, phthalates, and sulfates. You can never go wrong with a healthier product! Pretty much anything that’s been around (and consistently been successful) for almost 100 years is probably reliable, right? If something’s stayed around for that long, they’ve clearly done something right. Well, the Coty Airspun Translucent Powder has stayed its ground since 1935, and was made by a perfume creator named Francios Coty. The loose face powder is blended with air, giving an airbrushed, perfect finish with an ultra lightweight feel. Use it for contouring, highlighting, keeping makeup for a long period of time, and baking. If you want a flawless finish on a budget, then this is one to look into. 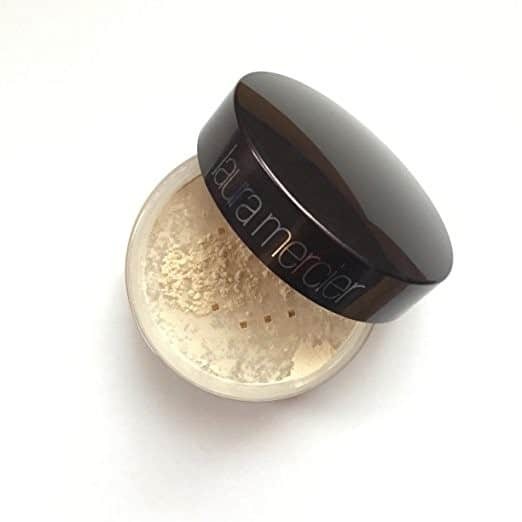 The formula features unique, microspun particles where loose powder particles and spun until they reach a kind of cloudlike soft feel to them. Think of it kind of as a cotton candy for your face; without the stickiness! The powder works to blur imperfections, such as fine lines, wrinkles, and any other blemishes while making your skin feel and look noticeably softer and smoother. Upon receipt of the product, the first thing we noticed was the smooth, round container that contains the product well. Once we opened the container, a soft, sweet smell filled our noses. It wasn’t an overwhelming scent; just enough to make its presence known. The translucent powder has been one of the most trusted in the industry for almost a whopping century, and there are many reasons why. It’s not a crazy unique formula, but one that’s simple, inexpensive, and works. Use it on even the slickest, shiniest of liquid foundations, and you’ll still find that the setting powder provides a solid setting and matte finish to your application. Many setting powders will still give out after a couple hours, but this one stands the test of time in more ways than one. For one, it’s probably the finest-milled setting powder on the entire market. The lightweight feeling is unmatched by any, and despite being so light, controls impressively well in terms of wear time, and oil control. No matter what kind of skin type you have, it will work well. Have oily skin? It will easily control shine and oil. Dry skin? It works to smooth and moisturize. Sensitive skin? It’s so gentle that you won’t have to worry about any possible adverse reactions, drying, or redness. To apply, we found it looked best when applied with a fine-bristled, soft powder brush. This will give an almost-airbrushed, flawless look. 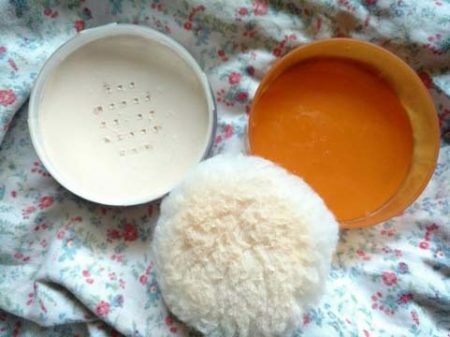 Using a powder puff can work if you’re careful, but we found that this method made it too simple to add too much product, and doesn’t make for very precise application. Regardless of the method, we recommend concentrating on the “T-zone”, or your most oily areas primarily. On top of all of it, we have to mention what a steal this is. We find it hard to believe that this product is so affordable, but perhaps that’s part of the reason it’s stuck around and been successful for such a long period of time. Now that you’ve had a detailed look at all of the best setting powders, you may have already decided on the best one for you. However, there’s also the chance that you haven’t. If that’s your current situation, then not to worry. We’ve taken it upon ourselves to create a buying guide, to make sure you’re selecting the best product for you and your needs. What are you looking for? Are you looking for something super lightweight that’s going to give you that nonexistent or barely-there feeling? Some people prefer to actually feel the product on their skin, if not just to serve as a reminder that they have it on. Oftentimes, those with oilier skin like the compact setting powders, which usually provide a heavier feeling to the skin. This is because heavier powders often absorb oil better or hold foundation on longer. However, this isn’t a rule. In addition, compact powders are typically easier to travel with. This is because it doesn’t run the high risk of getting all over the inside of bags, or on countertops. Loose powders can become messy very easily, and no one really wants that, right? Most consumers take price into consideration, somewhat. It’s because we often use price as a gauge for what kind of quality of product we’re receiving. However, we should look at much more than just the price tag. Even products with a higher price tag can end up costing us less, if they last longer than the less-expensive products. Ironically, the more expensive products often last much longer. This means that the price per application will be lower, and ultimately save you money. So, we recommend setting a budget for yourself, or giving yourself a number where you’d be comfortable spending. It could be a final price tag number, or it could be a cost per application. We recommend the latter, as this is a more accurate budget. Ultimately, we want a desired finish, or hold time, which is why we wear finishing powder in the first place. However, not every setting powder is going to give you the same results. Some will give a more sheer finish, which most with oily skin don’t really like, but those with dry skin may love as it gives them a more lively look. Many with oily skin love a matte finish, where those with dry skin may not. You’ll want to make sure the finish is one that you like the look of, but one that also works well with your skin type. Make sure that it’s not going to dry your skin out or accent imperfections that you may want covered up. 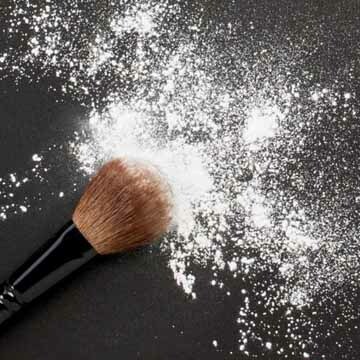 Many consumers purchase setting powders because they’re sick of having to touch up their makeup every couple hours. The best translucent powders will increase the wear time of foundation immensely, thus saving you time and money. No more having to touch up throughout the day. This is great if you’re always on-the-go, and don’t have time to do so. Not all setting powders have the same amount of hold, however. It’s important that you note the wear time on average. 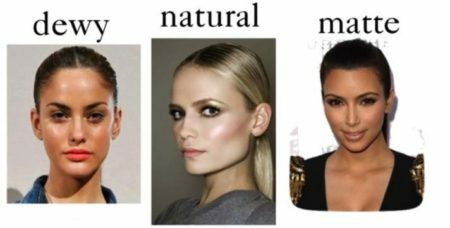 Also keep in mind that this is going to vary a bit, depending on the foundation that you’re wearing, or if you don’t wear any foundation at all. Now that you’ve read pretty much all there is to know about the best setting powders, which one is your favorite? If you’re still on-the-fence, or haven’t an idea at all of which one is the best for you, then not to worry. 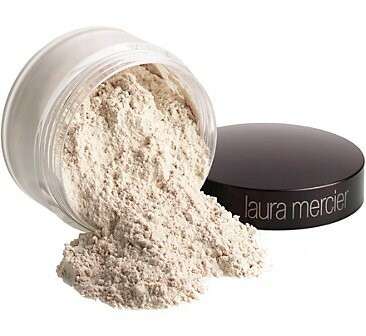 Allow us to reiterate how much we love the Laura Mercier Loose Setting Powder. First of all, we loved the ultra-lightweight feeling. After a while, we had forgotten we even had it on. It doesn’t clog pores, doesn’t cake, and doesn’t cast the white color like so many others on the market do. The product is very easy to apply, and only a small amount is needed to cover the entire face and neck. It gives a matte finish, with just a hint of sheerness, which looks wonderful with all skin types and shades. Overall, we couldn’t find much that we didn’t like about it, except the price was a bit more expensive than some others. So, which one of these best setting powders will be making their way into your makeup bag?